AUGUSTA, Maine — Gov. Paul LePage on Monday vetoed legislation to expand Maine’s Medicaid program, turning the focus back to majority Democrats to try and rally enough Republican votes to override it. In his veto message, LePage wrote Maine has expanded Medicaid before — what he termed a “massive increase in welfare expansion” — and it hasn’t worked. The House and Senate took final votes on the Medicaid bill, LD 1066, on Thursday. It passed in the House, 97-51, and in the Senate, 23-12. While both tallies included some Republican votes, they fell short of the two-thirds threshold needed to override LePage’s veto. Expanding the state’s Medicaid program would provide coverage for about 50,000 adults without children who earn up to 133 percent of the federal poverty level, or $20,628 for a two-person household. The expansion would also prevent about 25,000 parents and childless adults from losing their Medicaid coverage starting Jan. 1, 2014. 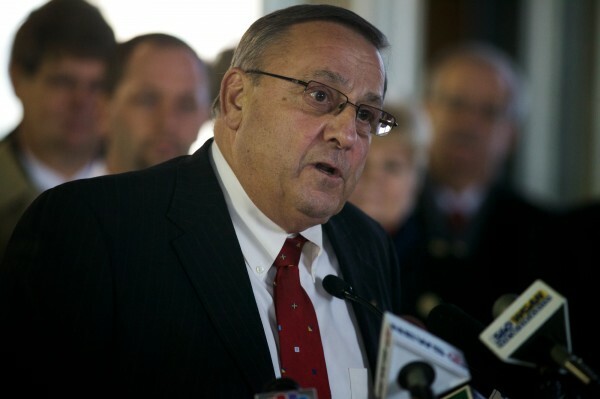 In his letter, LePage warned lawmakers against accepting promises that the federal government will pay nearly all costs of expanding Medicaid over the next decade. And he cautioned lawmakers against accepting compromise legislation that passed the House and Senate, under which Maine would withdraw from the Medicaid expansion after three years unless the Legislature decided to continue the coverage at that time. Democratic legislative leaders reacted quickly, calling on Republicans to help them override the veto. In 2001, 10.6 percent of Maine residents didn’t have health insurance, compared to 9.7 percent in 2011, according to the United Health Foundation’s America’s Health Rankings. Nationally during that time, the percentage of people in the United States without insurance rose to 15.1 percent from 14.3 percent, according to the U.S. Centers for Disease Control. While LePage has opposed expanding Medicaid, his administration in March began negotiating an expansion deal for Maine after a number of other Republican governors, including Jan Brewer of Arizona, Chris Christie of New Jersey and John Kasich of Ohio, agreed to accept the federal funds to expand Medicaid in their states. The federal government ultimately denied a request from LePage’s health and human services commissioner, Mary Mayhew, to fully fund Maine’s expansion for 10 years; the law provides for full funding for three years. The bill, which is sponsored by Rep. Linda Sanborn, D-Gorham, will return first to the House for an override attempt. If the override attempt fails, Democrats have one legislative option left this year to pass Medicaid expansion. A bill proposed by House Republican Leader Kenneth Fredette to form a study group to examine Maine’s Medicaid expansion options is still pending the Legislature’s Health and Human Services Committee.